Glorious blue sky summer days means the pleasure of making the most of the great outdoors but also taking the chance for a relaxed lunch. 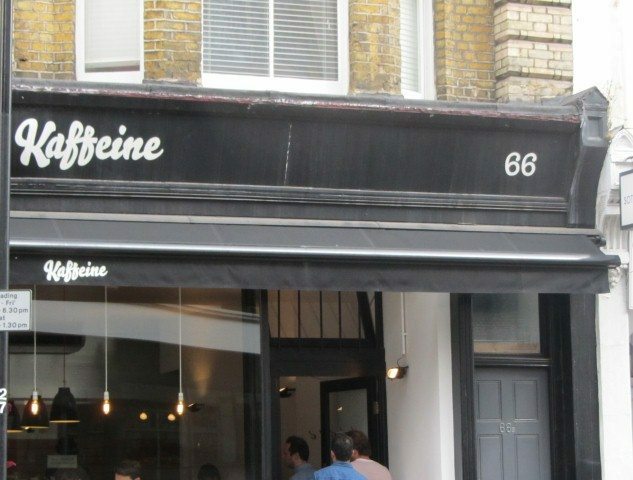 Kaffeine is a very popular cafe with queues coming out the door at busy times. 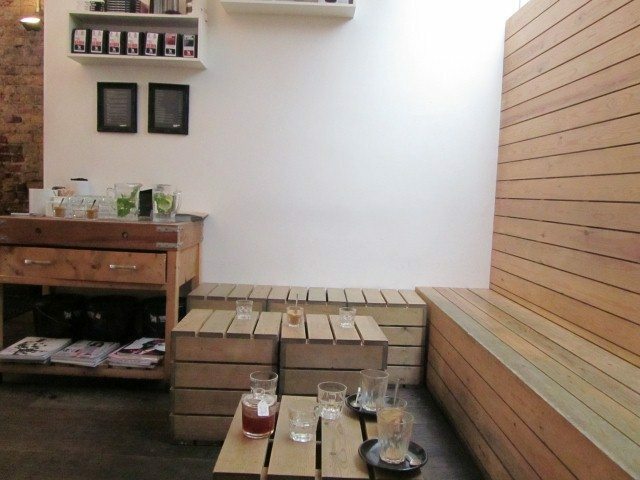 Wooden panels and crate like tables make up the small seating area with some high stools near to the counter. There is a bench outdoors too. Kaffeine serves up one of the best smoothest coffees and one that I would return for. 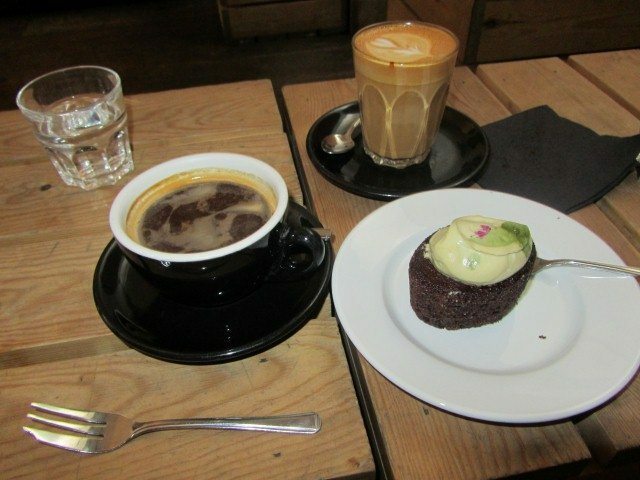 The Americano decaf was served in a matching black cup and saucer with soy milk. The food is displayed in the counter fridge and includes toasted foccacia sandwiches, baguettes, tarts and salads. As the food is seasonal, Kaffeine has a menu that changes each week. 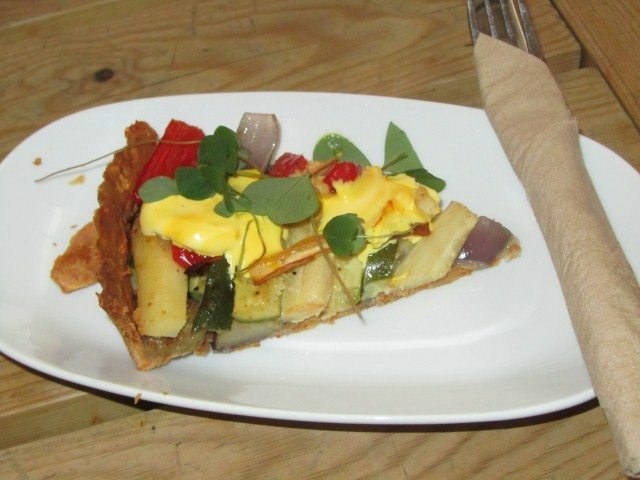 The vegetarian tart on offer on this particular visit was roasted vegetables in a Gruyere pastry with saffron cream. The pastry was thin, light and crispy. Parsnips, aubergine, red pepper, onion and courgette made up the chunky filling. It could have done with slightly less saffron cream. 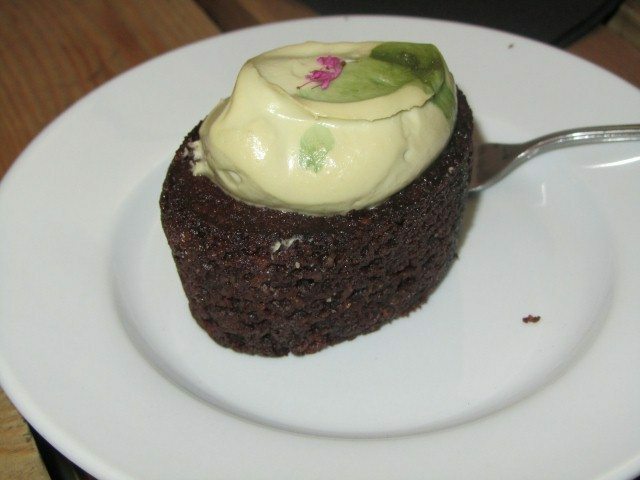 The tart was garnished with wood sorrel. There are lots of other sweet treats on offer such as cookies, brownies, Portuguese tarts and muffins. It is a shame that the cakes are not covered and are just on display on the counter top. The staff gave service with a smile and were efficient. 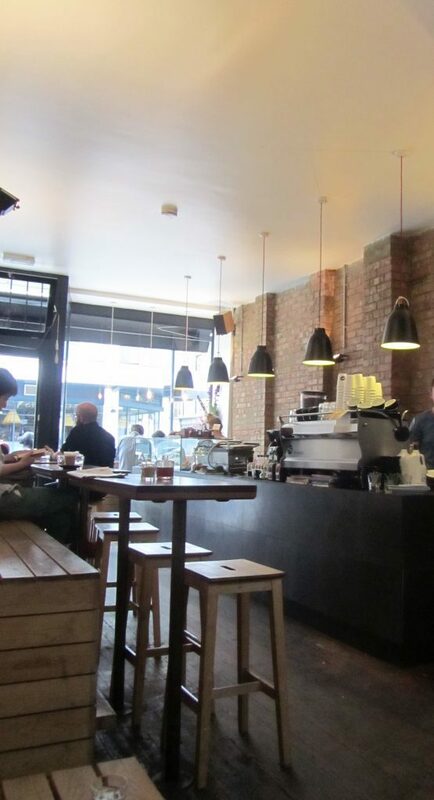 Kaffeine is a great cafe with fresh tasting food and undeniably fantastic coffee! It makes for a lovely place for just coffee or for lunch.